Guide Market Agent - Market Agent Review - Scam or Legit Paying? Marketagent belongs to an Austrian research company, which is available in most countries of the world. They carry out more than 1,000 studies and one million annual interviews. Marketagent has been working since 2001, which makes it a very serious and reliable company. 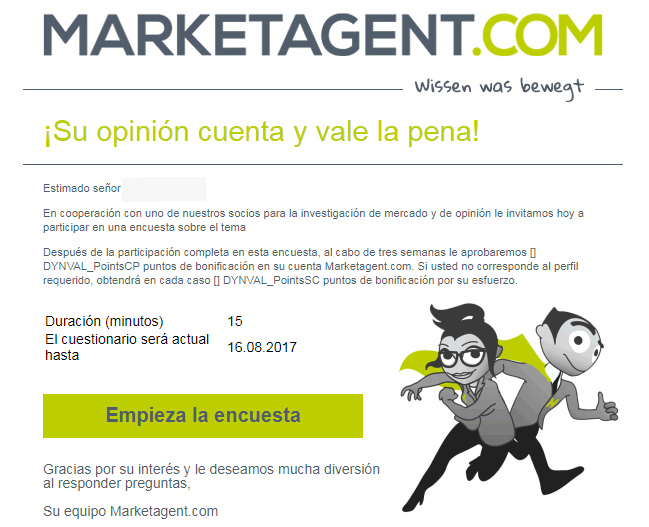 How much does Marketagent pay for each survey? It will depend a lot on the complexity and duration of the survey. The compensation for each survey can be from $ 0.10 to $ 2.50. If you do not qualify for a survey, they give you 10 compensation points ($ 0.10). How many surveys does Market Agent send us? Here it will depend on the country and the profile of each one. I give you one piece of advice: Every week you will have a new profile extension survey. These surveys are not received via email, you have to enter the "Standardization" section. Eye: When you finish a survey, they usually approve in a 3 weeks so patience. Market Agent also has a mobile application from which we can resolve surveys if we wish. Market Agent is available in most countries of the world. 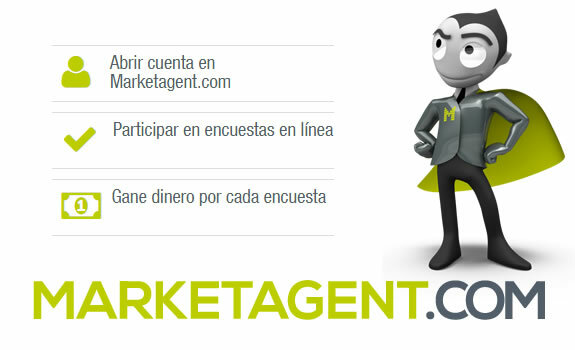 You earn $ 1 for each referral you bring to Marketagent. In order for you to receive the commission from your referral, he has to satisfactorily complete his first survey. From time to time they launch promotions and pay up to $ 2 per referral. Complete Profile Bonus: You will receive $ 0.20 for completing a small survey found on your profile in the "Standardization" section. IMPORTANT: In order to collect you must have completed at least one survey of those sent by email, check your mail every day to see if you receive surveys.